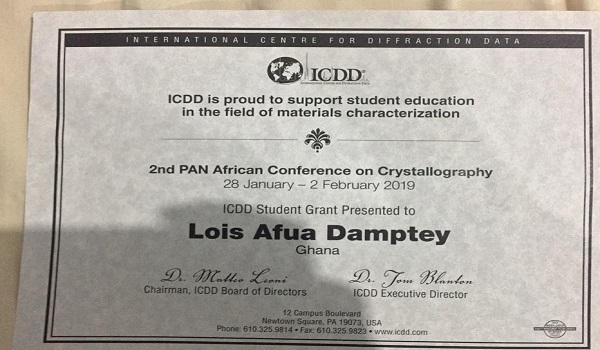 Out of the lot, about 100 entries from about 27 countries were selected and asked to prepare a pictorial presentation of their academic research to the Pan African Conference on Crystallography. Lois’ research work touched on one amazing project. She set out to find a suitable material that could convert nonedible Ghanaian oilseeds into biofuels -- and guess what, it works. She did find that suitable material. Her project is vital in using renewable fuels to augment national energy needs.